Thanks for your interest in our music. 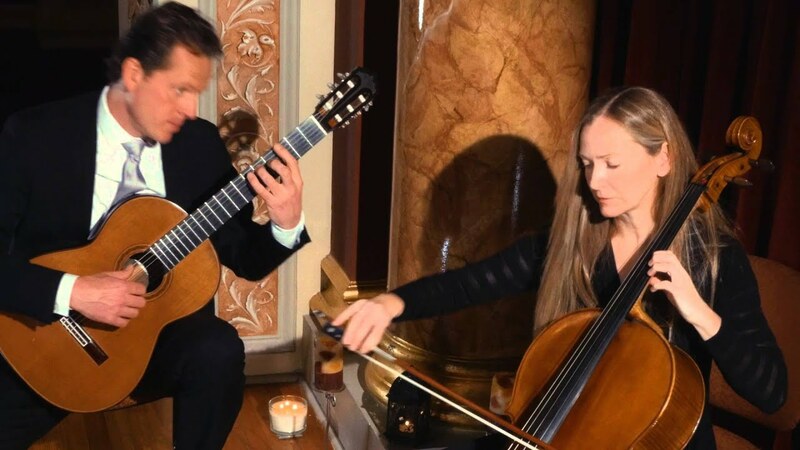 As a Husband and wife duo, we create the rare and beautiful combination of the classical guitar and cello. We specialize in wedding ceremonies and cocktail/dinner hours. We perform at the most elegant locations throughout Florida. We have a very upbeat and fun cocktail hour repertoire which sets the perfect mood. We are often hired to perform for the dinner hour as well. We also provide our own sound system so the music can be heard clearly in any environment. If you have a special request we almost always can arrange it! The Moeller Cello and Guitar Duo can be heard on videos and audio on our wedding website. We look forward to meeting you! 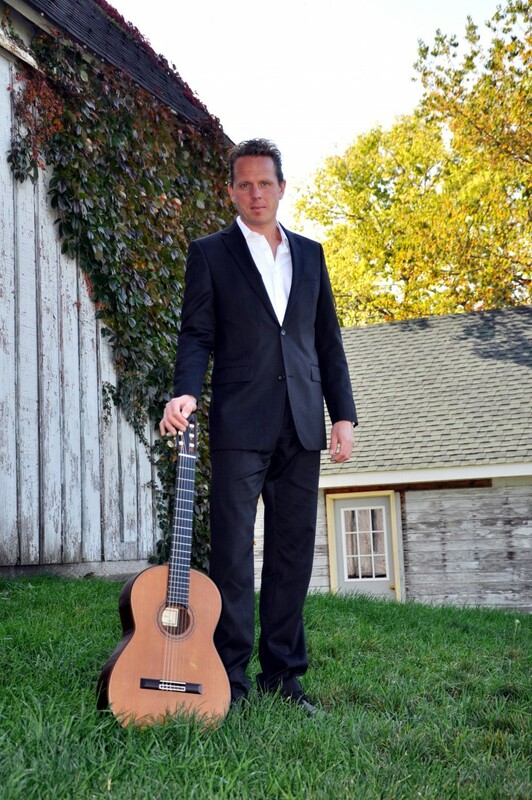 We present the best live, elegant instrumental music in Chicagoland. We provide cello with classical guitar and our clients are always pleased with the ambiance and elegance we bring to any event. You can count on professionalism including fast response time on emails and easy to handle deposits and payments. Please let us know if you have any questions or if you'd like to secure you date. Thanks for your interest in our music. 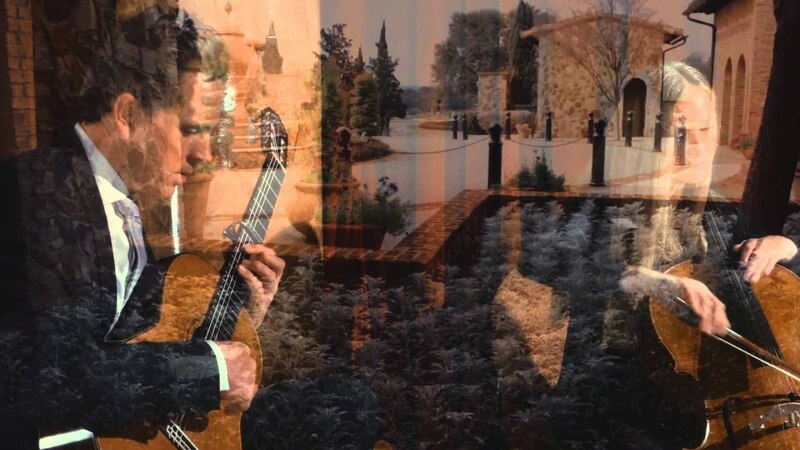 As a Husband and wife duo, we create the rare and beautiful combination of the classical guitar and cello. We specialize in wedding ceremonies and cocktail/dinner hours. Our pricing depends on the location and performance time. We have a very upbeat and fun cocktail hour repertoire which sets the perfect mood. We are often hired to perform for the dinner hour as well. We also provide our own sound system so the music can be heard clearly in any environment. If you have a special request we almost always can arrange it! We have over 150 five star reviews on both The Knot and The Wire. We have also performed with such world class artists as Dionne Warwick, Ray Charles, Ben Folds, Yo-Yo Ma, Joshua Bell and Barbara Streisand. We recently performed for the private vow renewal of celebrity couple Jenny McCarthy and Donnie Wahlberg. Once we have determined our availability, if you’d like to reserve our services you may download a contract from (link hidden), which requests one half of the total price as a deposit. Upon receipt of your signed contract and deposit the date will be secured. You may download audio clips, watch videos and view testimonials at (link hidden). We also offer sound reinforcement for the wedding officiant and readers. Usually he or she will need a microphone and speaker to be heard clearly. This includes a wireless microphone which makes for smooth transitions and no cords to trip over. The cost for this service is $150. It makes all the difference because your family and friends will hear each word clearly. Please let us know if we may answer any questions for you or if you’d like to secure your date. PS Many of our clients are attracted to our sound because we can play their favorite contemporary songs with elegant instrumentation. We can provide music from all musical styles and of course we can play all of the traditional weddings songs for a formal ceremony as well. In short we can handle anything from Bach, Beatles, Christina Perri, Sia, Taylor Swift, Train, Tim McGraw, Allison Krauss, Jason Mraz, Vivaldi, Beethoven, Boccelli, Ben Harper, Dave Mathews, Mozart, Stevie Wonder, Sting, Coldplay, Rascal Flatts, Smashing Pumkins, Beyonce, and many more etc…as well as the Jazz greats, Duke Ellington, Miles Davis, Frank Sinatra and Louis Armstrong etc. If you have a special request we almost always can arrange it. We simply require two armless chairs and access to an electrical outlet. We provide everything else needed with no set-up costs. We perform all standard Pop, Jazz and Classical music to make your event incredible! Recent review: Punctual, professional, and very proficient... Highly recommend Rachael for your event..